Another MUST-HAVE tool! This tool is used to remove axles without effort. Minimizes damage to the end of the axle, which creates problems when pushing through the bearings. When the axle is flush with the bearing, simply the tool to continue knocking the axle out. Uses an interchangeable aluminum head and a durable steel rod. Only comes with ONE head, not as shown in picture. Another MUST-HAVE tool! This tool is used to remove axles without effort. Minimizes damage to the end of the axle, which creates problems when pushing through the bearings. When the axle is flush with the bearing, simply the tool to continue knocking the axle out. Uses an interchangeable aluminum head and a durable stainless steel rod. Made in the USA. The T.D.C. 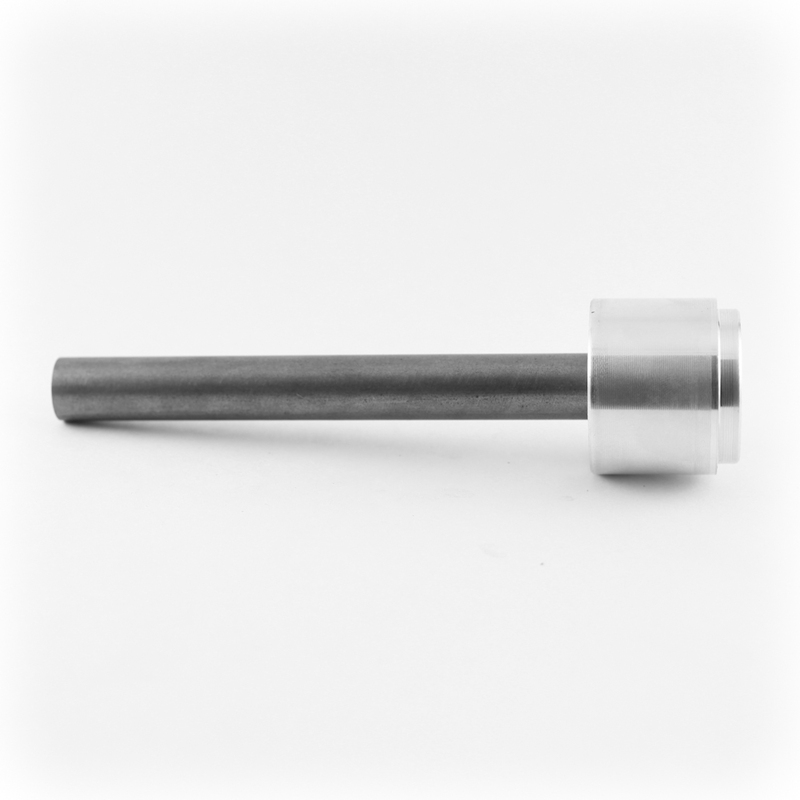 Spindle Spacer Tool easily allows you to install wheel spacers into the hard to reach recessed area of the front hub. Works for 25mm spindles only.